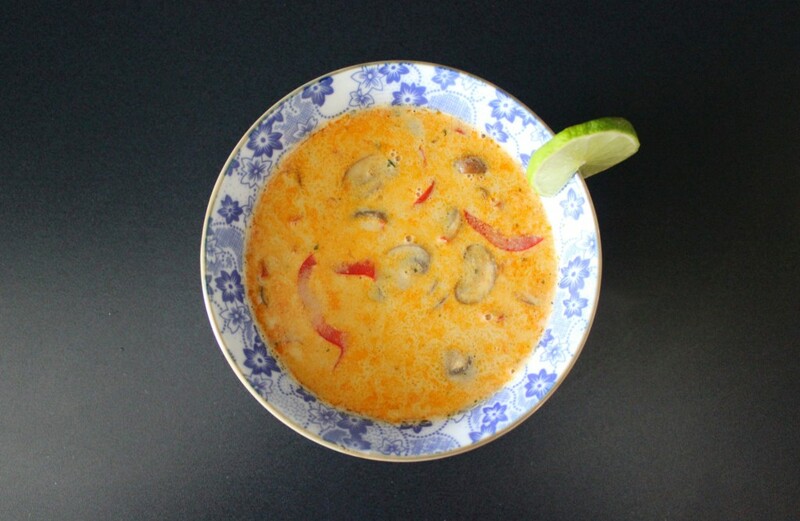 Red curry and bell peppers are a great combination. I like to use red bell peppers for it because they are the sweetest, but you could perfectly use green or yellow ones. Heat the coconut oil in a skillet over medium-high heat. Add spring onions, garlic and ginger and cook until golden brown, then add the curry paste and mix well with the oil. 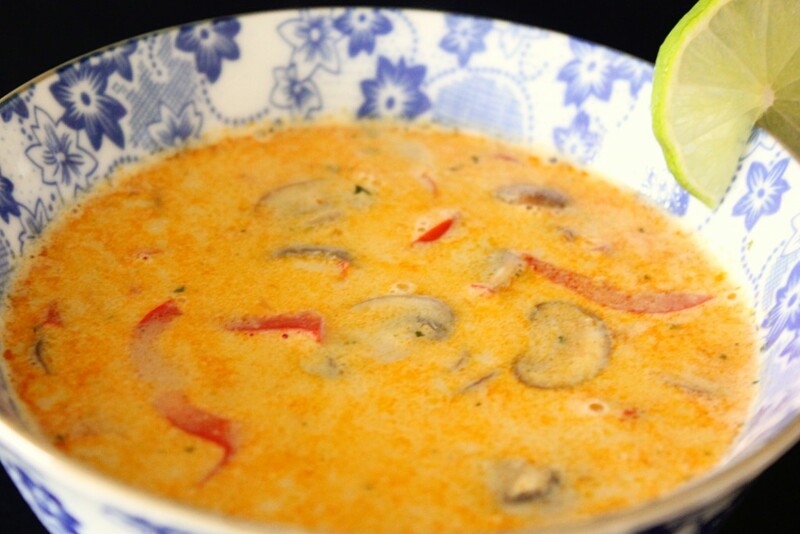 After two minutes, add the vegetables and sauté for a few minutes, until the mushrooms brown a little. 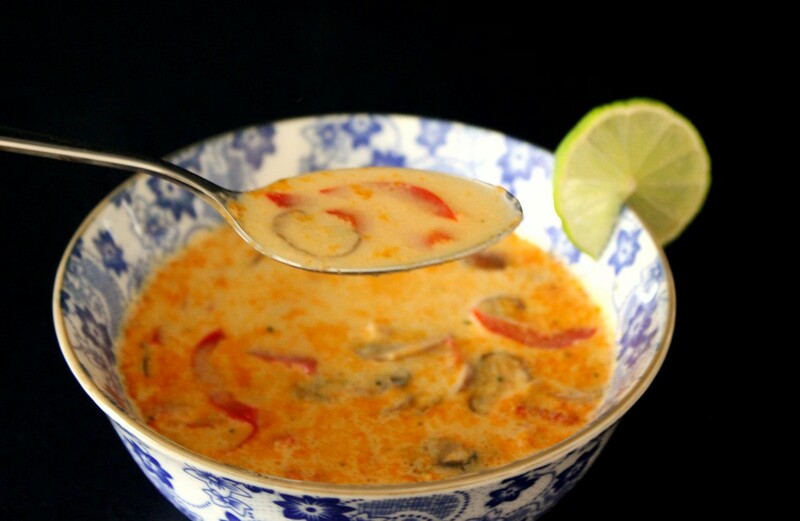 Pour in the coconut milk, vegetable broth and soy sauce. Bring to a boil, then cover with a lid and reduce the heat to low. Let the soup simmer for 15 minutes. If you like, add more soy sauce. 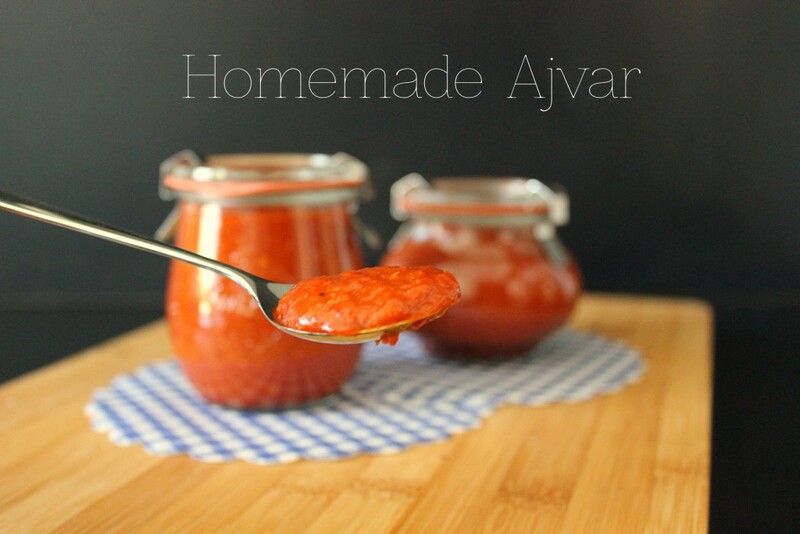 Ajvar is basically a relish, made from red bell peppers. It is originally from Serbia, but also known in other southeastern countries and the Turkish cuisine. Some recipes add eggplant or chili, but I chose a pretty simple recipe with very few ingredients. If you have never tried it before, you should now! 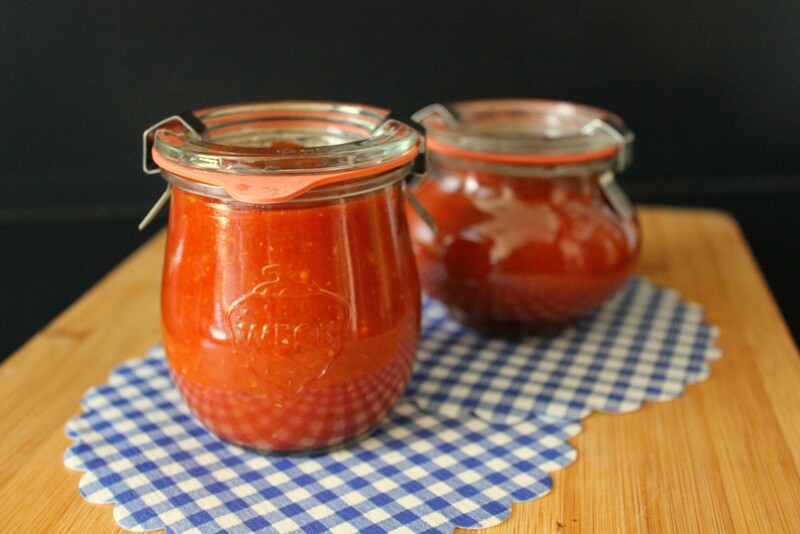 It tastes great with meat or grilled vegetables – a perfect sauce for your next barbecue. Preheat the oven to 250°C/480°F and turn on the broiler. Wash, stem and seed the bell peppers and cut them in half. 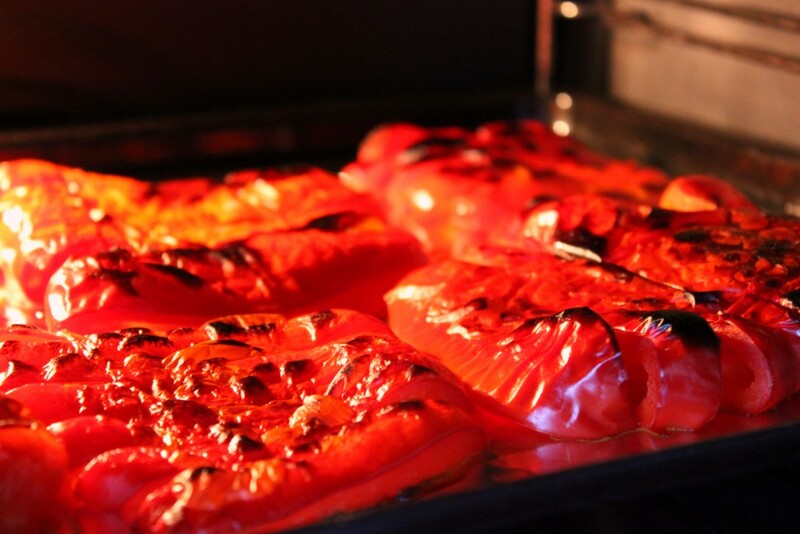 Place the bell peppers on a baking sheet lined with aluminum foil, skin side up. About 15-20cm/6-8in under the broiler element, let them broil until slightly charred, but don’t let them burn (you can see how it is supposed to look in the third picture). Transfer the peppers into an airtight container and let them cool, then peel off the skin. Place the peppers in a food processor, pulse until finely chopped. Peel and finely chop the onion and garlic. Heat the oil in a skillet over medium-high heat, add onion and garlic. After about five minutes, carefully add the bell peppers. Reduce the heat to low and let simmer for 1-2 hours. Add vinegar and spices to taste. Stir well. 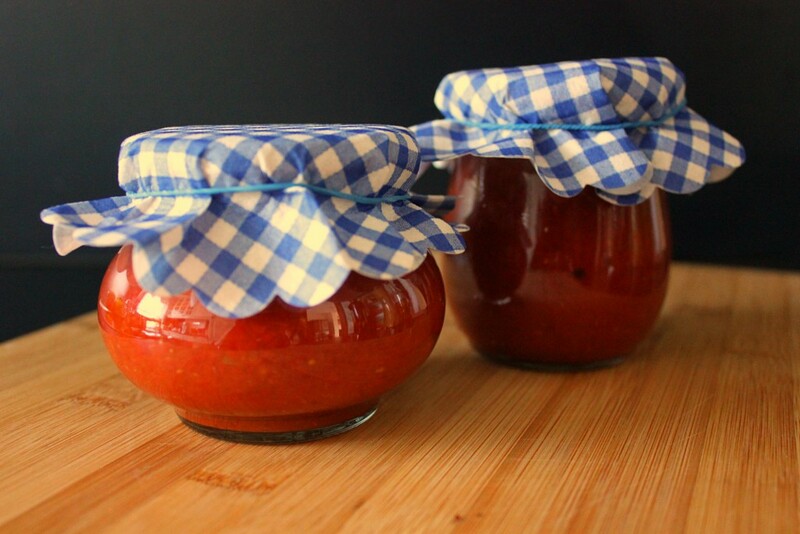 You can either serve it right away or fill the ajvar into sterilized jars. This stewed bell pepper recipe is great for a weeknight when you don’t really have the motivation to cook something super fancy. Most of the work is done in 5 minutes, the rest ist basically waiting. 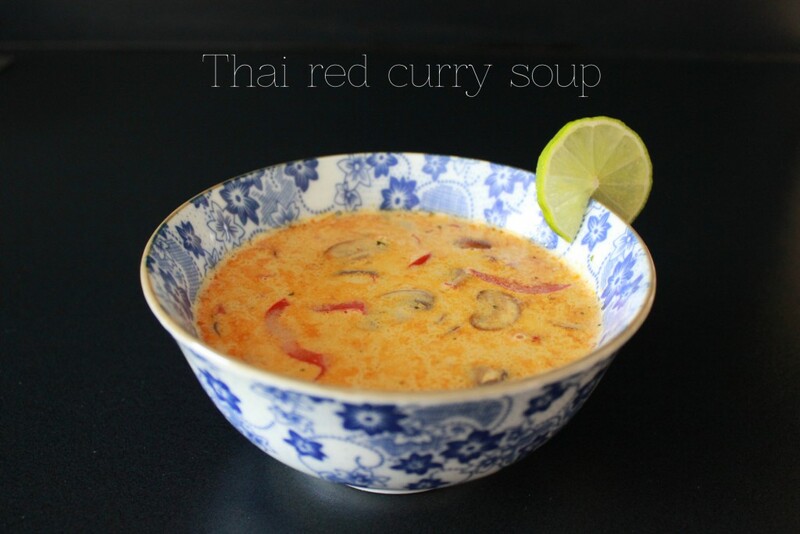 And it kind of looks like a thai curry, right? Cut the bell pepper into strips, chop the onion. In a skillet over medium-high heat, melt the clarified butter and sauté the onions in it. Add the bell pepper and let it cook over medium heat for about 10 minutes, stirring occasionally (don’t let them burn). Add the broth and cover the skillet with a lid, turn the heat down to low and cook for another ten minutes or until the bell pepper strips are soft and tender. Take the skillet off the heat, season with a little salt and pepper, stir in the sour cream. Serve with potatoes. A few months back, I ended my no bell pepper phase. For some reason, I didn’t like them for a while – but since that’s over now, I can make one of my favorite bell pepper recipes: Stuffed bell peppers. You can stuff them with pretty much anything you like – many recipes use rice and ground beef. I chose couscous and feta cheese for this vegetarian version. Preheat oven to 180°C/350°F. Line a baking sheet with parchment paper. Cook the couscous. I use vegetable broth instead of water to add extra flavor. Cut the feta cheese into small cubes. In a small bowl, carefully mix the couscous with feta, tomatoes, herbs and spices. Spoon the filling into the bell peppers. Place on the prepared baking sheet and bake until the peppers are tender and the filling is heated through, about 25-30 minutes. Top with sour cream and serve immediately.